In January we said 2017 looked set to be a very exciting year and we weren’t half wrong. With a new fund, a major acquisition, portfolio raises reaching over $1bn and a whole host of exciting new companies we’ve backed, 2017 has truly been an incredible year and we are so grateful to everyone who’s supported us and our portfolio along the way. The Seedcamp nation continues to go from strength-to-strength and we can’t wait to see what 2018 has in store. Here we take a look back at some of the highlights from across the year with a reminder of some of our biggest news, content and podcast picks you won’t want to miss. We kicked off the year with a new look podcast. 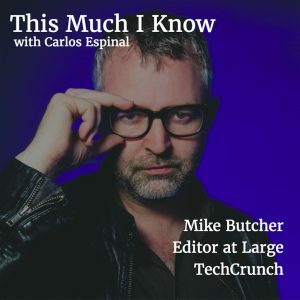 Carlos remains as the exceptional host of This Much I Know, interviewing leading investors, tech voices and operators who share their fascinating journey with our listeners. We also announced pre-seed investment into new startups Stowga, Telleroo, Vchain and WeVat along with significant raises elsewhere in the portfolio. Monese set the ball rolling by closing an impressive $10M Series A, followed by Fraugster raising $5M and Juro securing $750K of funding. We announced the Secondary sale of a small part of our stake in TransferWise – a company we first backed in 2011 and now worth well over $1bn. We saw a cross-section of significant raises for our portfolio including mortgage broker Trussle’s £4.5m funding round, online menswear brand Spoke’s $1.8m late seed round and expenses management startup Pleo closed an additional $3.3M. We kicked off March with a very special guest on This Much I Know. Carlos was joined by none other than actor, filmmaker and entrepreneur, Joseph Gordon-Levitt. 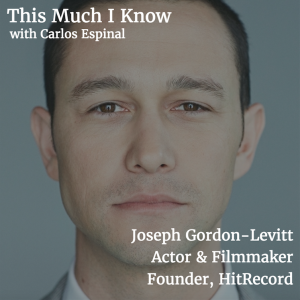 On top of an acting career that spans 30 years (The Dark Knight Rises, Inception), Joseph is also the founder of the production company HitRecord. Some significant milestones from the portfolio including InsurTech startup, FinanceFox’s, official rebrand as Wefox, launch into its third market and 100,000 customer milestone. Savings app, OINKY, closed $1m in seed funding and workforce science startup, Saberr was profiled in the Wall Street Journal. In March we also announced the six companies selected to participate in ‘Augmentor’, our carefully curated program delivered in collaboration with Digital Catapult to support early-stage UK tech businesses developing applications for immersive technologies. 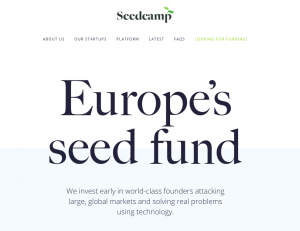 Content pick: For entrepreneurs looking to raise early fundraising rounds, Seedcamp Partner, Tom Wilson, penned a primer on the Enterprise Investment Scheme (EIS) and Seed Enterprise Investment Scheme (SEIS). Read his post here. A stands for ‘acquisition and in April we saw a number of them. One of our first ever investments, MyBuilder – one of the UK’s largest online marketplaces for homeowners to discover vetted, quality tradesmen – was acquired by HomeAdvisor, an IAC-owned business. Elsewhere in Europe, Estonian-based Teleport was acquired by MOVE Guides. They shared a fascinating look back on their journey here. We also saw a number of strategic partnerships in April including two portfolio companies, Revolut and Trussle, joining forces in an industry first to help people begin a mortgage or remortgage application through a mobile app as reported in The Daily Telegraph. We announced a partnership of our own with the launch of Concrete to power the future of PropTech working alongside leading industry players to provide startups in the sector with investment and relevant expertise to help them scale rapidly. Elsewhere in the portfolio, virtual reality music app TheWaveVR launched a beta version on Steam and announced a $4m raise and genomic data startup Repositive closed a £2.5m Series A.
We’re huge believers in the potential for world-class talent across Europe and in May we saw a shining example of that as Romanian-founded UiPath announced a blockbuster $30M round led by Accel for its robotic process automation (RPA) software, making it the largest Series A of 2017 according to Atomico’s State of the Nation report. MarcoPolo Learning, a mobile-based early childhood education company, raised an impressive $8.5 million in a first round of funding alongside a partnership with Boat Rocker Media to produce premium, animated long-form videos. Content pick: What’s it like to intern at Seedcamp? A big month for HealthTech startups as SF based, Viz, announced a whopping $7.5m seed round, including investment from Eric Schmidt’s Innovation Endeavours, for its AI-powered medical imaging innovation. Across the pond, UK at-home blood testing company Thriva announced a £1.5m seed round. Other raises included £755k seed for Heresy, founded by ex-Stack Overflow Europe MD, Dimitar Stanimiroff, to help sales team close with better data and £1.2m for flexible workspace company Hubble. In July we saw a real FinTech takeover with the news dominated by banking alternative Revolut’s, $66M Series B led by Index Ventures to take on global expansion, develop their offering to support cryptocurrencies and further product development. We continue to be hugely impressed by the team and their constant innovation and growth since we first invested back in 2015. 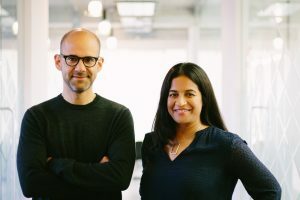 Other raises included connected finance startup, Curve’s $10M Series A and Poq secured a further £3.5m to expand its reach among enterprise reatilers. In July, we also announced our investment into Seed Legals – out to cut the cost and time it takes for startups to raise – as part of their £1m seed round. Summertime and we unveiled a new look website cementing our position as ‘Europe’s seed fund’, the early-stage partner of choice for world-class founders attacking large global markets and solving real problems using technology. We also announced a new pre-seed investment in BunkerEx, the online marketplace for shipping companies to buy fuel. Elsewhere in the portfolio, online estate agent eMoov announced £9m in new funding. 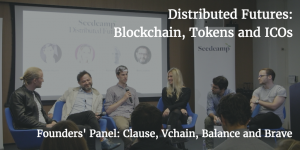 In September we tackled one of the most hotly debated topics of the year: blockchain, tokens and ICOs at our ‘Distributed Futures’ event bringing together founders, experts and investors to delve deeper into blockchain’s disruptive potential. You can catch up on all of the discussions and fascinating debate from the event on Facebook. Big news from Seedcamp HQ in October as we announced the acquisition of Seedcamp Funds I & II by Draper Esprit in a move that delivers a 4x return to our investors. Some great activity from our portfolio over the past month including raises for Pointy, the Irish startup helping local retailers get online, and Libryo, the online legal compliance software platform. 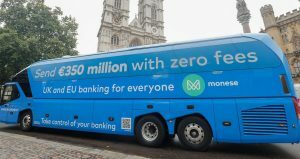 You may have also noticed Monese on a European tour with a rebranded ‘Brexit Bus’ to promote the launch of their new EU banking accounts, allowing customers to transfer money between accounts with zero fees. Content Pick: The inside scoop from the Seedcamp CTO summit with 5 key takeaways from 9fin CTO and co-founder, Huss El-Sheikh. November kicked off with the very exciting news that our very own co-founder and Managing Partner, Reshma Sohoni, made it onto the inaugural Forbes Midas List for Europe featuring in the top 20 most influential VCs across the continent. A bumper month for the portfolio dominated by FinTech unicorn TransferWise with their $280m Series E. Featured as last month’s podcast pick, EdTech startup BridgeU announced a $5.3m Series A to close the gap between education and industry needs and employee learning and development startup Sunlight raised £500k seed to further enhance its offering. 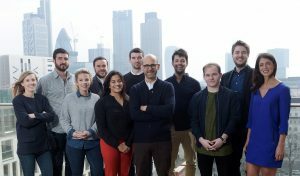 Just a few weeks after announcing the acquisition of Seedcamp Funds I & II, we revealed the first close of Seedcamp Fund IV at £41m backed by 60 leading corporates, global VCs and fund of funds. We spoke to Steve O’Hear about the milestone, that also marks our 10 year anniversary, along with our plans to invest in 100 new startups across Europe and approval to invest in crypto tokens. It’s not just startups who go through the fundraising process but funds too. Transparency is key to us at Seedcamp. As such, we took the bold decision to release the fundraising deck we used to raise Fund IV which you can view here. To round out a bumper year, in December we announced the first new investment from Fund IV in Pace, matching hotel pricing with real-time demand. 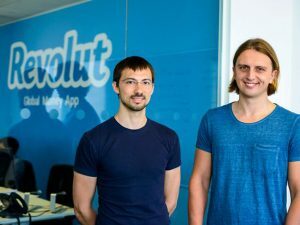 Warehousing on-demand startup Stowga announced a £1.5m seed round and Revolut launched arguably their most innovative product of the year with the easiest and fastest way to buy cryptocurrencies. At Seedcamp HQ we hosted an AMA with TransferWise Global Head of Marketing & PR, Joe Cross. We were fortunate enough to have Alan McAlpine, product marketing manager at Curve, share his top 5 growth tips for scaling companies from the session. And, that’s it folks for another year. If you are a founder looking for the best possible partner to take you from pre-seed all the way to Series A and beyond then we’d love to hear from you via our very simple typeform on our website. All that’s left to say is a very happy and peaceful holidays and we look forward to much more to come in 2018.